Overall the gloves quality is amazing, they have great potential, but for me everything was ruined by the stiff padding used. My personal experience with them wasn't too great but other users seem to really enjoy using them. Above all the things you really need to consider are the following, break in time, lack of grip bar, and the Thai style. Depending on how you feel about those three things, you'll have your answer as to whether you want to try these gloves or not. The Fairtex BGV1s were my first good pair of gloves. Before these I was using some low quality gear found at local sporting good stores. These were a big step up. 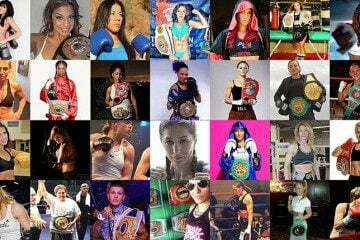 Fairtex’s handmade gear is just an incredible quality. With that being said, through these gloves I realized I was not a fan of Thai style gloves. I’ve trained in both Muay Thai and Boxing for around the same amount of time but I consider myself more of a boxer and I’d prefer to use a Boxing style glove as opposed to a Thai style. Boxing style feels more comfortable to me when compared to a Thai style glove. 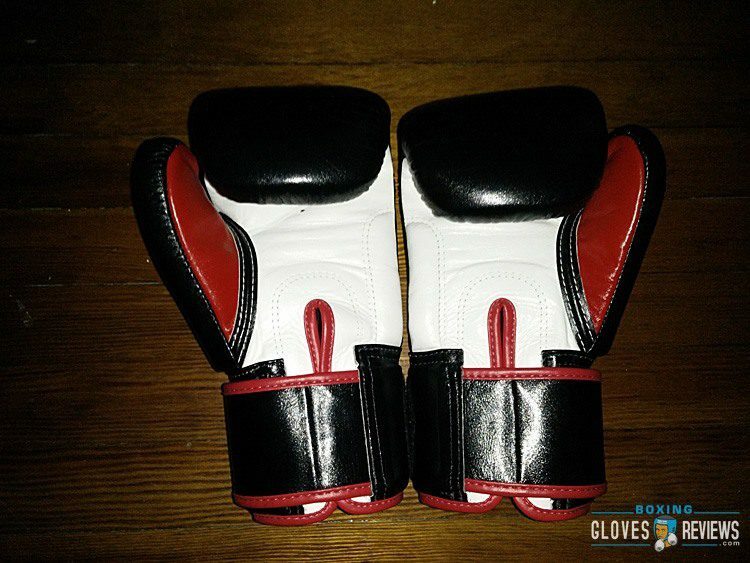 Due to the Thai style these gloves have less padding on the knuckles when compared to Boxing gloves. The knuckle padding is more thin and the gloves also have more padding on the back of the hand. This is in order to better block from strikes such as kicks. In other words you trade protection in one area for another but this makes sense in a sport where more than one kind of strike is used. The wrist support is good, there is very little give forward and backwards. The padding itself is very firm. It requires a long break in time. The padding is so firm that it actually ruins some of the comfort. Due to the padding these gloves fall into more of a, “punchers,” category instead of a protective one. Above all the protection isn’t incredible. Even though these are 12oz, the weight isn’t what ruins the protection. The padding is just awful, it’s extremely firm and breaking it in is a long process. You get some good feedback when landing strikes but even so sometimes the feedback is overwhelming. 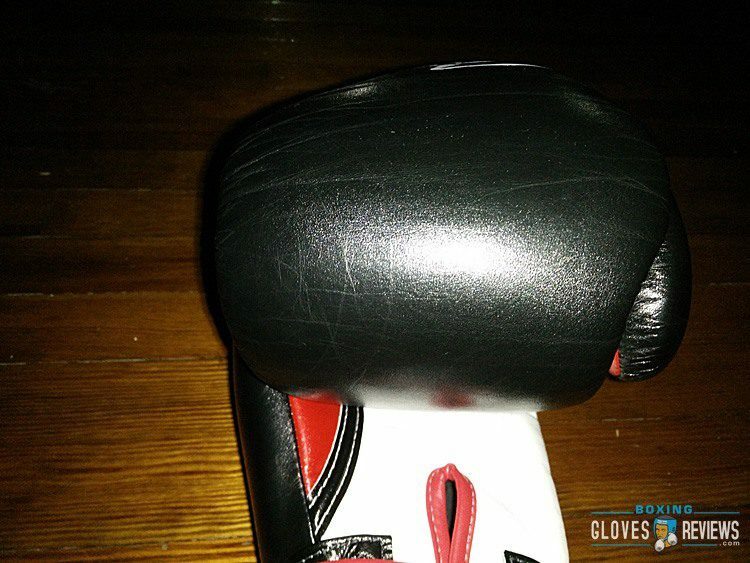 I would recommend to stay away from these gloves if you plan on using them for sparring. For all my gloves no matter the weight, I spar in them to give a complete test both using them on people and have people use them on me. These gloves felt awful. 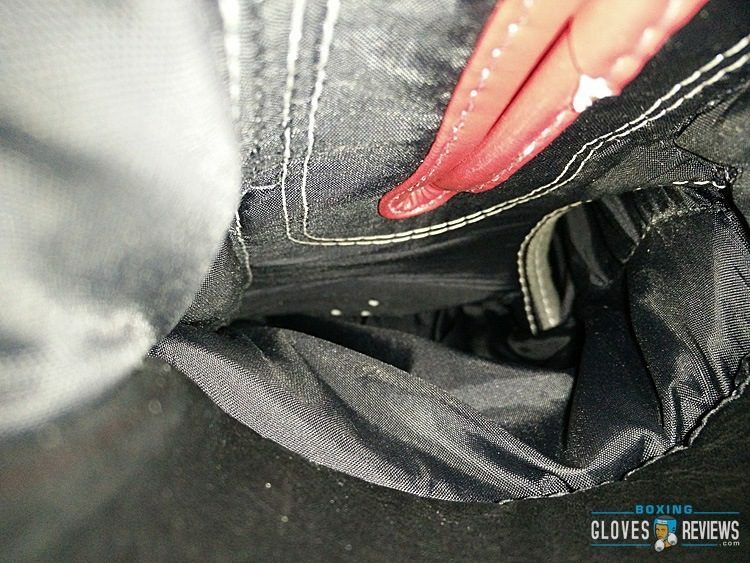 I’ve been hit by various 12oz gloves such as the C17s and they felt fine. Getting hit by the BGV1s stung horribly, they felt like they would tear at your skin. Above all these are horrendous sparring gloves. As I stated earlier the padding ruins the comfort. It is extremely firm and the break in process is too cumbersome. For example even just the padding over the thumb is uncomfortable even now. I can feel the foam pressing down on my knuckle. Usually the inner layer of the gloves I use allow my hand to almost sink it. The inner layer of foam feels like a cushion, that’s the opposite of what you get with the BGV1s though as the inner foam just feels like a flat board. There is also some padding for your finger tips and that’s actually the most comfortable foam of the entire glove. I wish that foam was implemented for the inner layer, the glove would have been slightly more comfortable. The liner is fine though, it’s not a rough liner but it’s also not the best. 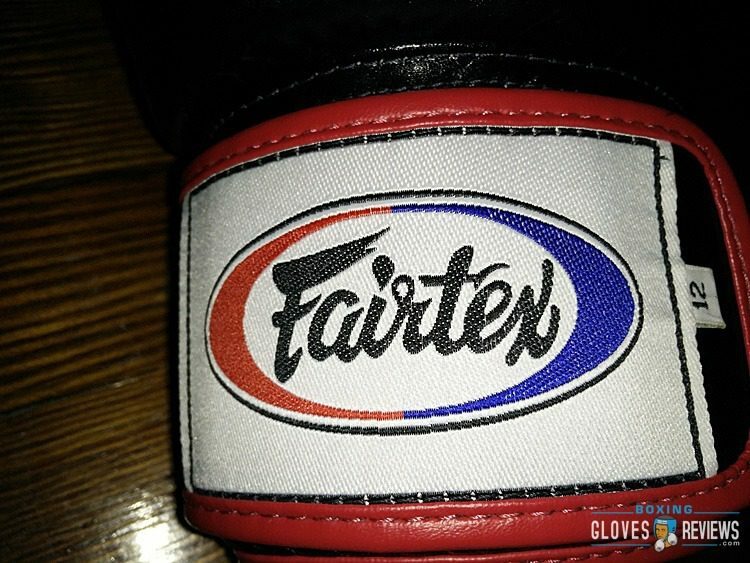 Because of the Thai Style, Fairtex implemented a straight thumb. Usually this thumb style is my favorite but on these gloves it just feels wrong. The lack of a grip bar is also terrible. I can’t curl my fingers into a fist as good as I should be able too. The leather where the bar should be also bunches up and feels extra uncomfortable. The hand compartment is wide compared to other gloves, this is something I prefer though. 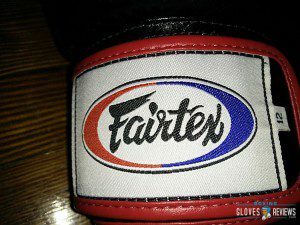 One of the best things about Fairtex boxing gloves is their quality. 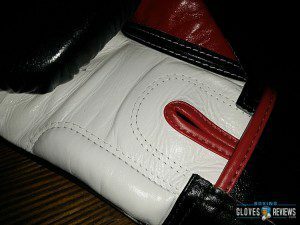 Handmade gear is usually just absolute top notch construction and that’s what you get with these gloves. The leather is thick and beautiful, a very nice texture. Under light the black just shines. The stitching is also perfect, I have no loose stitching and no signs of the stitching wearing out. Overall very good quality that can rival the higher, top tier brands. The durability of these gloves is excellent. For example I see no sign of the padding breaking down but at the same time that’s also a con as breaking it in is a real time consuming task. I’ve had these gloves for around a year and they still look good as new. From the stitching, to the padding, to the leather, everything is still in top shape. 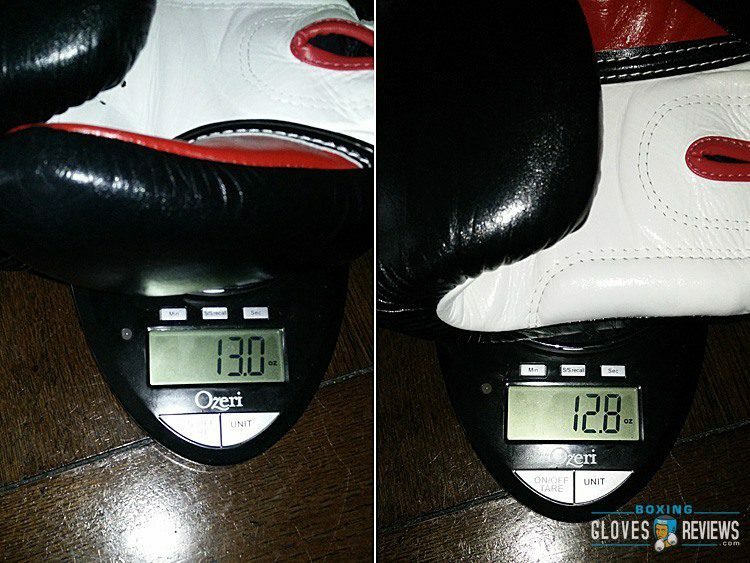 The gloves are slightly overweight with the right weighing in at 12.8oz and the left weighing 13oz. The BGV1s are compact. Compared to most gloves they’re small from fist to cuff. The colors of every version look amazing too. The black, white, and red of mine contrast each other very well and the black just looks exquisite. The Fairtex logos on both the fists and straps were very well done and add a nice professional look because of the simplicity. 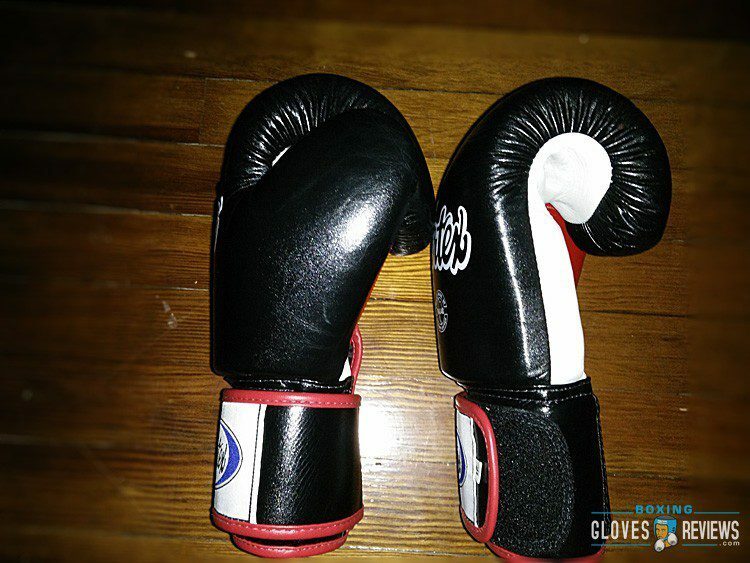 Due to their Thai style these gloves have an overall different design when compared to the standard Boxing glove. 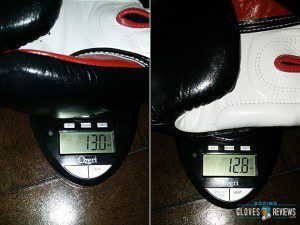 As I mentioned earlier the knuckle padding is thinner than the average glove. This is because a Thai Boxer has other striking tools at his disposal as opposed to a Boxer who strictly uses his knuckles. Therefore there’s less need for extensive knuckle padding. The back of the hand is also more padded which is again due to the different tools used in Muay Thai. More padding usually allows for more shock absorption which is necessary when blocking a kick or knee. While the overall design of the BGV1s is standard Thai glove style, I do have to admit I am not a fan. The reasoning could be because of my Boxing background but even so the design is beautiful but the practicality of said design is ruined. Like I mentioned earlier the lack of a grip bar absolutely ruins your ability to make your fist and truly curl your fingers inwards. The straight thumb is also strange. Comparing it to Winnings, Winnings seems to have a slight, comfortable curve while the BGV1’s thumb is practically like the tip of a needle. When I picked up these gloves they went for around $70. For that price they’re amazing. Just on quality alone you get your money’s worth. The main problem I had with them was the padding. I’m not a fan of extensive break in periods. Again you get a high quality glove for $70 but if you hate breaking in gear then you might want to spend some more money and pick up some C17s. As a Thai glove these are great especially for the cheap price. The quality you get is incredible and as I mentioned it can rival the top brands. From stitching to leather these gloves a truly a work of art. The colors, the vibrancy of the leather is absolutely beautiful. I cannot emphasize this enough though, the padding is very difficult to break in. It is very time consuming. It has been an uncomfortable experience ever since the day I got them. That’s why I stopped using them and moved on. Even though the missing grip bar was annoying I could ignore that. The padding on the other hand is just terrible to the point where my thumb knuckle would get sore, no glove has managed to do that before. The gloves aren’t the only Fairtex gear that are very stiff as well so it’s not like I got a bad pair. 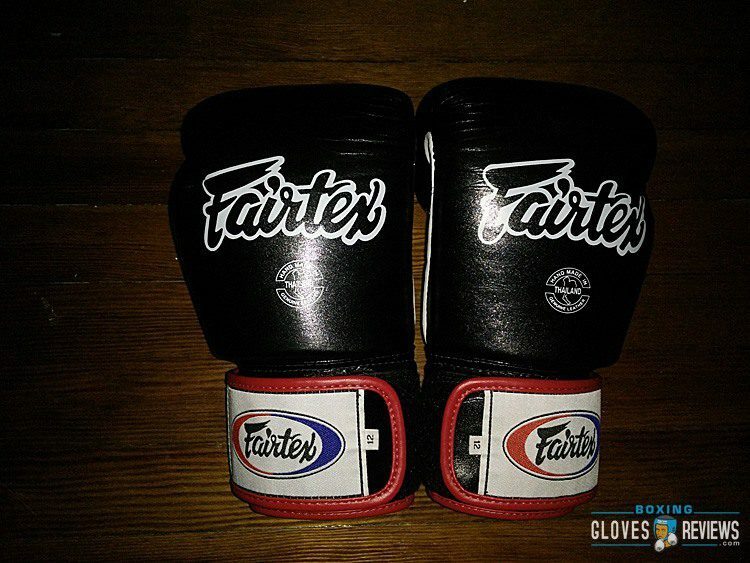 Fairtex gear is usually stiff and requires a good amount of break in time. That caused me to stay away from Fairtex, while I love the look of their gear the performance was just ruined by the padding. I have a pair of their Twister shin guards though and they’re amazing. 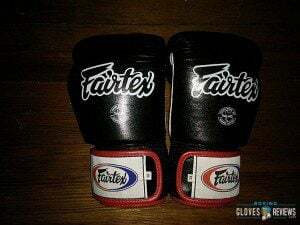 Editor’s Note: Fairtex BGV1 Gloves Review was originally published in Jun 10, 2013 and has been completely revamped and updated for accuracy and comprehensiveness. Have anything to add or have some questions? Feel free to leave a comment bellow!